Seems like there's always a holiday or a special occasion out there that we celebrate with candy. From the number of posts I've seen from people wondering what to do about friends and relatives who won't respect their food choices, I'd guess I'm not alone when I sometimes feel guilty for not allowing my kids to "cheat" on their diet to partake of the cupcakes, donuts, candy and such that come into their Sunday School classes, and it must be even harder when your child is in school! Growing up, I had a sort of middle-of-the-road mom. She was real concsienctious about how much sugar and processed junk we had. We were the kids who brought our lunch from home, didn't eat doritos, barely knew what soda was, never tasted chocolate milk ... dessert at home was 2 oreos, or applesauce with mini marshmallow smileys. I felt wierd and left out. At the same time, I was kinda jealous of my friend Mavis. She had a real cruchy mama! She ate bean sprouts sandwiches on homemade whole wheat and really enjoyed it! They had an enormous patch of sunflowers in their backyard with a group of beehives in the middle of it, and a honey spinner in the basement. It was so cool!! I guess I say that to say I understand both sides of the argument personally. I thought when I grew up I was NOT going to be the mom that limited her kids to 1 Kool-Aid at a party... turns out I am that mom. And worse! I have my kids on GAPS, for crying out loud!. It's for their own good, and they know it, and they understand it -- to a degree. That doesn't make it any easier on them when their class is having Krispy Kreme and they have to turn it down to eat the banana I packed for them! For the most part that doesn't happen, and generally the snack is animal crackers or something that they don't have much trouble turning down for a Larabar. But what about those parties? What about those ball games in the summer when everyone around them is sucking on a lollypop? What about EASTER??? No jellybeans, or Cadburry Cream Eggs, or Recees Peanut Butter Eggs? We've really never been an Easter Bunny family, but we've always had a few chocolate eggs or maltballs and jellybeans in a bowl on the counter for easter, and generally we have a spring-like dessert of some sort, whether its a lemon cake or something else light and yummy. So I've been doing a lot of thinking about what to do for Easter treats. Of course I don't want to go overboard because even with these recipes that can be good for you -- full of gelatin and butter and other goodness, they also have honey. And while honey has wonderful healthful properties, it is sugar. But I've been searching the web and I've come up with what I think are some pretty good options, and I thought I'd share them with you, maybe you can make healthier choices this Easter season, too and feel better about the sweet treats you're sharing with your kiddos! Also, the peanut butter cups recipe uses her recipe for GAPS legal chocolate, which seems a bit complicated and requires purchasing cocoa butter (which I'm really interested in trying, actually) but for the time being, we have found that using unsweetened bakers chocolate and adding about 1-2 T of honey and 1t of vanilla per oz of chocolate makes a delicious dark chocolate that hardens quite nicely at room temperature. ;) And almost ANY of these recipes would be delish if dipped in chocolate, methinks. know what's good for them! I first tasted butter as a sophomore in high school. Like most public schools, mine sold lunches every day. Not as typical, they also offered some “breakfast” items before school in the morning. 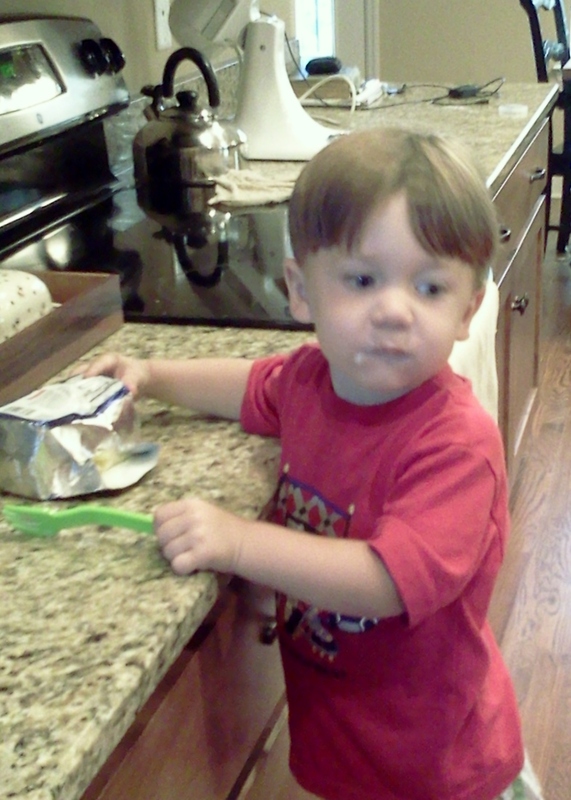 These items consisted of chocolate chip cookies, cartons of milk and juice, and … buttered hard rolls. Not exactly ideal morning fare, but a friend offered me a piece of her hard roll one morning and that was the beginning of the end. I started bringing spare change about once a week to buy one of those hard rolls. I can still taste it! It was soooooo good! I grew up eating margarine. Not that my mom ever bought into the whole no fat/ low fat mantra, it’s just that margarine was cheaper, and she didn’t really know anything was wrong with it. She did her best by us ,and I have her (and my dad) to thank for my ability to think objectively and make choices about food regardless of what popular culture tells us. We didn’t eat much sugar and ate as many real or whole foods as a single income would allow a family with 10 kids. We just couldn’t afford butter is all, and I never knew what I was missing. We’ve been “in the know” on butter for such a period time now that I was sort of shocked a few weeks ago, at Sam’s Club when I overheard a man ask his wife if she wanted him to grab the margarine. Sometimes when we know something, it seems sorta strange that everyone else might not know it, too, doesn’t it? That was a good wake up call for me. Even though conventional wisdom is coming around and demonizing trans fats (of which margarine is definitely one) they have not also accepted butter as the healthful alternative and so most are left with a conundrum. What to do? Butter?? Margarine?? Which is least bad? Well, in case you don’t know already, butter is unbelievably good for you. When cows are healthy and grazing on rapidly growing green grass, the butter is at its best."Dr. Price thought [this kind of butter] could heal rickets and that it brought blood serum and calcium ratios toward normal". (Cure Tooth Decay p.38) It is rich in vitamins A, D, E, K2 which, by the way is design perfection since we need the fat in butter to absorb these vitamins. Most people are aware that vitamin A plays a key role in vision, most are not aware of it's role in reproductive health, bone and tooth growth, and cell division. Most people are also under the false impression that we can get plenty of vitamin A by eating carrots. Not so. The water soluable carotenes found in vegetable foods are not the same as vital, fat soluable vitamin A. These carotenes must be converted by the body into retinol, but it is a difficult process for the healthiest of bodies and requires stunning ammounts of the carotenes. K2, or as Dr. Price called it Activator X, is what makes grass fed butter yellow, and it isn't easy to come by. Perhaps the best source is butter from cows feeding on spring grass. Next would be the livers of these same animals. The Swiss of the Loetschetal Valley used to have a religious service of thanks to God for the first butter and cheese of the year because of it's life giving properties. It is essential for tooth health and remineralization. It also plays a key role in protecting heart and brain. Activator X works synergystically with Vitamin D, A and calcium. It is uncommon to find poor bone or dental structure, and cavities in the ancient exhumed skeletons of the Loetschetal Valley. When I first started making my own butter from the rich cream skimmed from our jersey milk, I found it nearly impossible to wash all of the buttermilk out of it, and it would get a sour taste fairly quickly, even when kept in the refrigerator. I found it frustrating and eventually I sort of gave up on the butter making and just bought sweet cream butter from the store. (which is really not that great since it's made with pasturized milk from cows in confinement) Then my 2 year old developed a lactose intolerance and I couldn’t use butter in cooking anymore. I decided it was time to take another look at butter making. Since raw milk contaise Lactase, the enzyme that breaks down lactose, most people with lactose intolerance can drink raw milk and eat raw milk butters and cheeses with no problem. I had been hearing wonderful things about Kerrygold cultured butter and mentioned it to my husband. We love cultured things! Yogurt, milk kefir, water kefir, Kombucha, and sauerkraut are all regulars in our kitchen. We both wanted to know WHY it was so delish and started doing some research. What exactly makes cultured butter cultured?? I’ll let you in on a little secret. Ready? It’s made from soured cream! That’s it! Now, I had seen the recipe for cultured butter in my Nourishing Traditions Cookbook a hundred times and passed it up because it sounded gross. I mean who wants sour butter? Ewwwwww! But after all the research and forum reading, I decided what the heck? I might as well give it a shot with a bit of the cream. If you never try, you’ll never know, right? Oh my word! It is so good!! The butter is still very sweet, and what’s more, even if you don’t get ALL the buttermilk out, it stays good for quite a while just sitting out on the counter. Of course, I don’t advise you to leave it out on the counter. That’s just what I do. On top of that, the buttermilk you’re left with is just like what you would buy in the store, except it’s raw. You can use it however you would normally use buttermilk. Do you make buttermilk pancakes, for instance? I really like it for marinating venison roasts. It makes them more tender and less gamey. SCORE! Two for the price of one! J And what I have discovered is that the longer you let your cream set to sour, the thicker the buttermilk is, but it really affects taste very little. Of course you don’t want to leave it until it’s clabbered, but if you don’t get to it right away, no worries. It’s not going bad on you. Lest you worry about bacteria in the sour cream, let me put your mind at ease. If you have a good local source of raw milk from healthy cows, rest easy. The milk is loaded with beneficials that actually protect the milk. In fact studies have shown that raw milk from healthy cows, when inoculated with a pathogenic strain, actually killed off the pathogenic bacteria or virus, and the only side effect was that the milk soured more quickly. It was not, however, any less safe to consume! Traditional cultures prized dairy and rarely drank it sweet and fresh the way we do today, especially those cultures in temperate climates. They relied on souring to protect their milk products! Souring is the process of beneficial bacteria (lacto-bacilli) consuming the sugars and protein in the milk, making it safe to consume for longer periods of time. Amazing, isn’t it, how God provides the means of protection right in the milk? And in the process, the milk becomes more healthful, providing beneficial bacteria to populate your gut! Not only does the culturing process make it easier and safer to digest milk by prediegesting the lactose and casein, it also intoduces enzymes that help the body absorb the minerals already present in the milk, while at the same time increasing B and C vitamin content! Isn't that magical? OK, so now that all that’s out of the way, how do you make this fantastic stuff? · Something to beat or shake it in. Hand or stand mixer, blender, or just a jar with a cover for shaking. 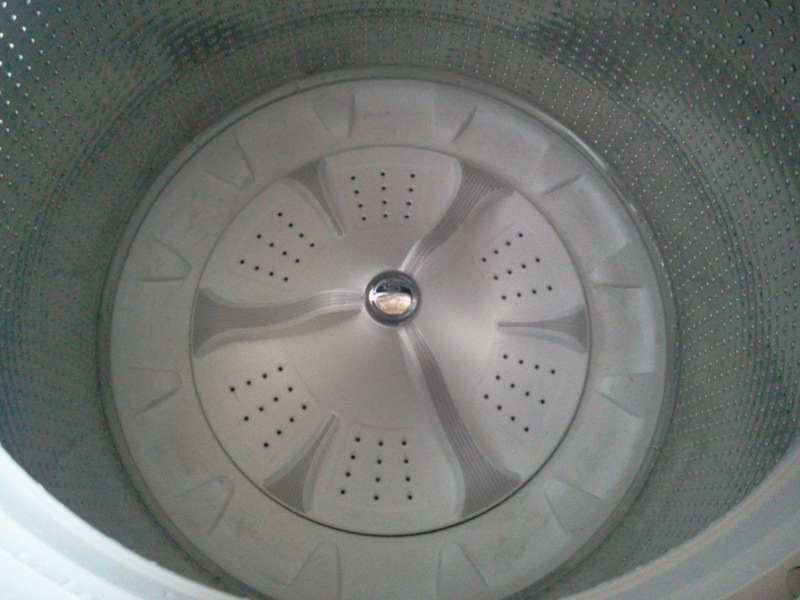 · Strainer of some sort with small holes. 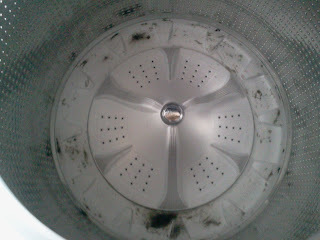 A typical colander probably won’t work here. 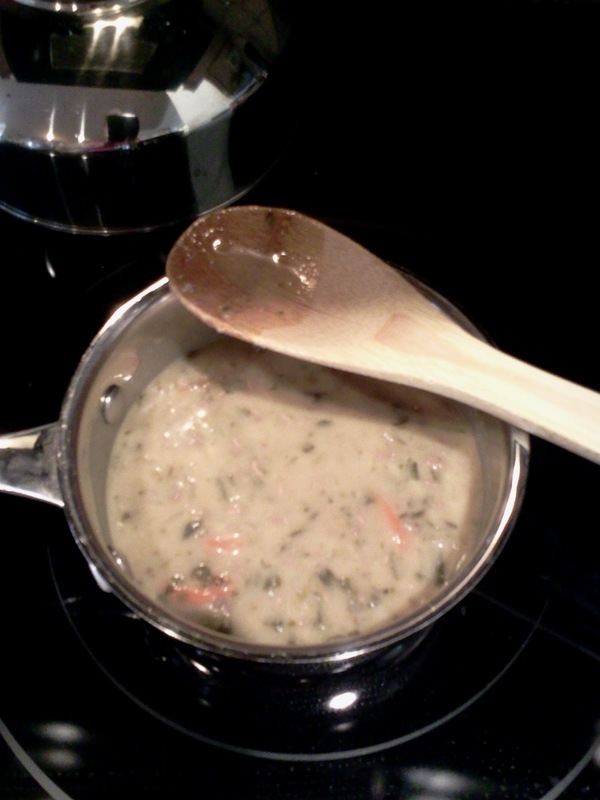 · Wooden spoon (wet so it won’t stick to the butter) and a bowl. If you are blessed to have the ability to buy quarts of cream from your local dairy, you can start there, or simply skim the cream off the top of your milk with a ladle or a turkey baster and allow it to sit on the counter for about 8 hours, or overnight. Depending on how warm your house is you may need more time or less. Keep an eye on it. Whenever it smells sour you can go ahead and begin with the next step. Now you can form your butter in any number of ways. If you have a traditional churn, that would work, or a stand mixer, or hand mixer, even a blender. I personally prefer to just shake a jar by hand. Make sure your container, whatever you choose, isn’t too full. That’s key. 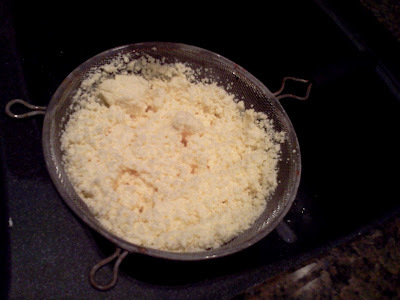 You’re cream has to have plenty of room to slop around in order for the butter to form. Then just start shaking, whipping or whirling away. When it’s done, you won’t have any trouble knowing it. There will be globs of yellow butter floating around in your white buttermilk. I just got this strainer in the kitchen section of Walmart. It’s not fancy but it does the job. Now you can just run this butter under cold water from the kitchen faucet. Alternately you could put it back in your blender or stand mixer with cold water and turn it back on. Repeat this rinsing several times until the water runs pretty clear. 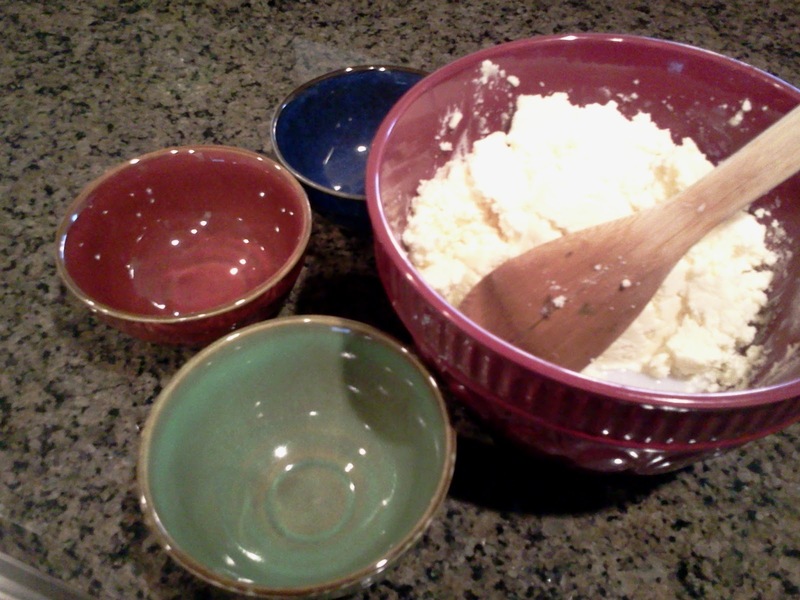 I usually put mine in a bowl here and press out as much water and buttermilk as possible and rinse as needed. Once it’s running clear or pretty near to it you can optionally salt it, or just press it into bowls, or just slap lumps of it onto plastic wrap to store in the fridge or freezer. That’s it! Pretty easy, right? Give it a try! Then let me know how it turns out! I come from a family of 12. Yes, I am the second of 10 children. And I always swore I would not have an enormous family! 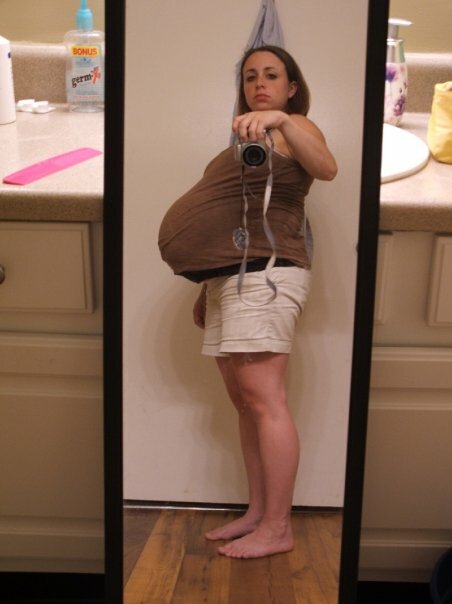 But, by today's standards, and the comments I get at the grocery store, my family is already enormous with 4 kids. Sooo, we've decided to add another bundle of JOY. 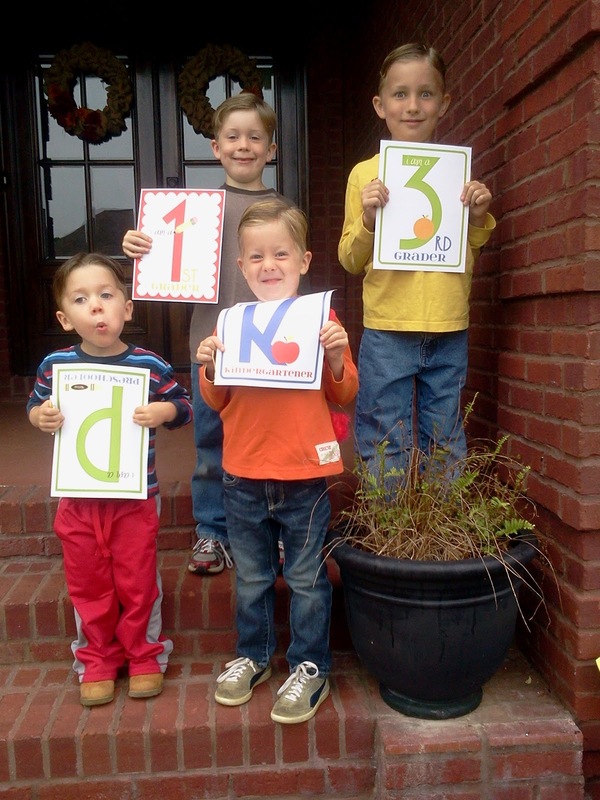 That's right, we'll be adding a new member to our family in October. It was a weighty and somewhat difficult decision for us to make, but we're excited about it. Want to know why? Read on. When my youngest son was imminently expected, I was ginormous and miserable! There's a picture of what I looked like. I promise, that is NOT a basketball under my shirt; it is a 8 lb. 9 oz. baby boy. We had been transferred with the Railroader's job and were living in a tiny apartment, that felt hopelessly cramped with our too-big furniture and half our stuff was in a storage unit. And even though I had already done this twice, I felt completely overwhelmed! COMPLETELY! I was scared out of my mind about money for some reason, despite the moving package we get. I just knew we weren't going to have enough to move and our house in MS would never sell and we would be pinching nickles and pennies. I spent a lot of time crying, but I can't honestly say I was crying out to God most of the time; I was just in tears -- emotional and hormonal, and stressed about not getting enough homeschool done, and how I was going to contribute financially from home. On top of that, I was tired of feeling fat, tired of the cycle and the zillions of different sizes of clothing in my closet that I didn't even like hated -- all so that I could go from preggo clothes to non-preggo, back to my "skinny" jeans and then back again. And in that state, that emotional, spirit empty, worried, frazzled state, I made a decision. A big decision: I would not have any more children. The Railroader and I have stood by that decision for 3 1/2 years, but in those years, the Lord has been doing a work in our hearts. Individually, then together. Then there's the command to multiply and fill the earth in Genesis. We've both been mulling this over quite a bit, since we learned that our race literally cannot sustain itself at the current rate of birth. If every person were to get married and have two children, who were guaranteed to get married and also have two children ... the population would just barely stagnate. But not all couples CAN have two children, or even one! Some people God chooses to remain single. The command to fill the earth is given to married couples. Now, we could really say we've done our part; We have 4! And we were inclined to do so, at first, but it just kept coming back to us as something we couldn't ignore. As if God were imploring us, specifically, to do more. And we began to wonder if it was really our decision to make. And so began to bathe it in prayer. Please don't misunderstand me. I still believe in responsibility and timing children appropriately, but I think sometimes we get caught up in US and WE and our PLANS or what is exactly the right time and we miss the bigger picture. We miss the calling that is parenthood, sometimes until it is too late. And we get caught up in the work children make for us, or how they interfere with our work, when really, they are our most important work! We also hope and pray that another baby will be good for Wyatt. He is our only mama's boy. He is attached to me at the hip,and while I love it, even thrive on it, I think he might need a wake up call. He needs to learn to help take care of someone more helpless than himself. Besides, some of the other boys have been asking for quite some time for another baby. You know, the Lord often speaks to use through our children. Because we're starting GAPS again, and because I have some idea of what to expect of it from the last time, I decided 2 things. #1 I'm going to use my crockpot as much as humanly possible for dinner preparation, and #2 lunch will be soup. Period. I have WAYYY too much to do during the day to be preparing 3 GAPS meals from scratch every day, and I know my boys are going to fight me on drinking broth, which is an intrgral part of the diet. They'll fight me on soup, too, but there's more variety in hearty meal soups than in meat broth day after day. Soup is easy to prepare in large quantities and freeze in smaller portions, and besides that, since Nathan will be joining us on the diet, I need to have something easy for him to carry with him. That means soups and salads will have to be mainstays in his lunch repetoir. In a large soup pot, just cover the beans with bone broth. I used turkey, because that's what I happened to have on hand, but beef, venison, chicken, fish, goose, duck ... you get the picture ;) ... will be fine. Add the bay leaf and bring to a boil, cover, lower temp and simmer for up to 8 hours, or more if you like. Peak in on them once in a while to make sure your broth hasn't boiled away! Meanwhile, in a large heavy pan, brown your ground meat with the spices, salt and pepper. Add onion, carrots, and garlic. Cook until the carrots start to soften. Remove bay leaf from the beans and discard. Add meat mixture to beans, and stir in your whey. The ammount isn't exact. Just get the soup to the consistency you want. Put the greens into your heavy pan over med-low heat and cover until wilted. Add wilted greens to soup pot, stir. Allow to simmer for a few minutes before serving. Just before serving, add optional cheese. Optionally serve with a dollop of cultured cream, sauerkraut , or other cultured vegetable. How about you? If you have any really great soup recipes I'd love to see/try them! Leave a link in the comments! When I was a kid, we never took first-day-of-school pictures! I don't know why.I'm sure my mother had plenty of other things on her plate. It probably never crossed her mind to do it! 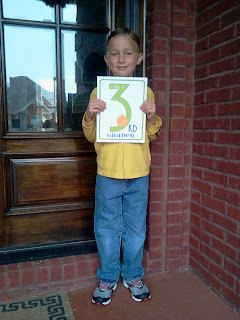 So, anyway, I didn't think to take first-day-of-school pictures either. I didn't even know such a thing existed! But since Pinterest and Facebook and the Blogging world, at large, have come into my life, I have realized that there are a whole heck of a lot of people who take these pictures. At first, I thought "Its too late! 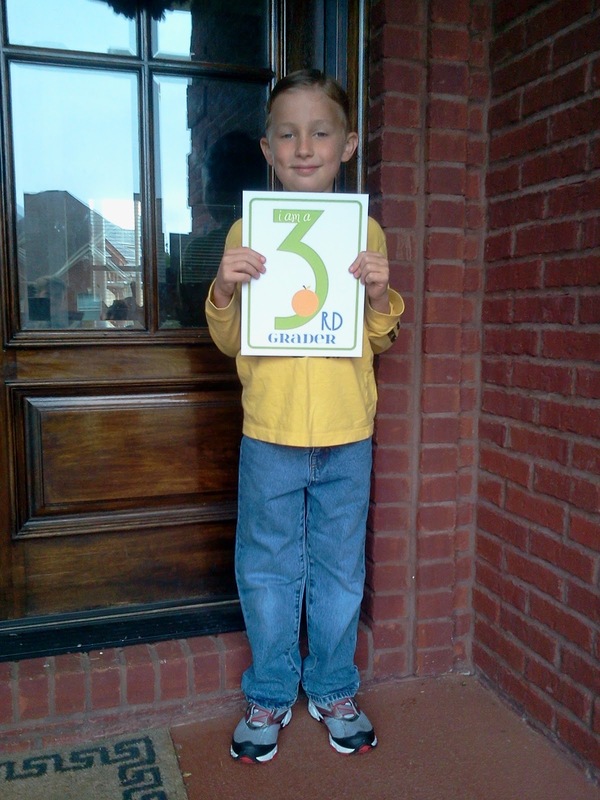 Silas is already in the 3rd grade!" Then I thought "I'm not a scrapbooker! What will I do with all those pictures?? They'll get misplaced, forgotten, and out of sequence." But I love traditions! I really, really do! I stretch my brain to think of new ways to create memorable traditions for my kids, especially during the holidays. Things that define this family, and that maybe they will want to bring into their families when they get married. Ideally they will be God-Treasuring traditions. Things that have meaning, not just things to do because we do them every year. But some traditions just for fun are good, too. So, the more I think about it the more value I see in it. I mean especially since, as homeschoolers, we don't do "school pictures" like they do in traditional schools. What a great record of their growth year by year! So anyway I started seeing some really cute ways of doing it on Pinterest and I decided to do it this year. 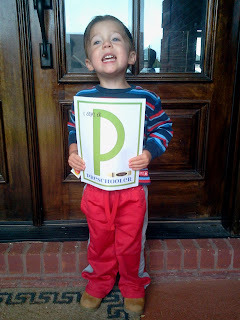 And then right before school started this post came out from one of my favorite bloggers gracefullmama.com about some ways to make transitioning from summer to school more fun and less stress. I didn't do many of them and we started school 3 days later than planned b/c my wonderful hubby decided to finish that closet for me last minute :D But what I did do was follow this link to find these adorable printables. I saved every one of them on my computer because I'm planning on doing this every year. And I printed them out on cardstock for durability. I took it one step further, too. You know all those cute "interviews" people pin to do with your child at a certain age? Well I looked at every one I could find and picked out the questions I liked best, tweaked some, and added a few of my own and printed that on the back. 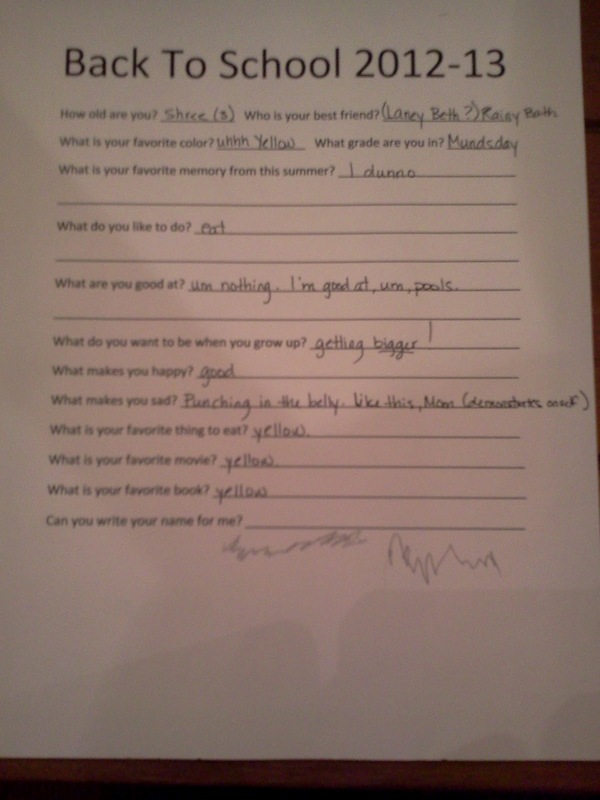 Then i sat down with each of my kids individually the day before school started, asked them the questions, and wrote down exactly what they said. 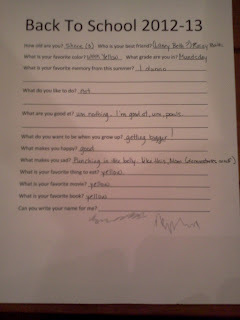 They said some of the cutest stuff!!! I'm keeping a 2" binder so every year I can put their interview/grade sign across from their pictures in sheet protectors so they won't get lost ... or destroyed. The end of year pic would then take its place in the frame until the next first-day-of-school photo shoot. As they are replaced on the wall they take their place in the binder with the Sign and Interview for that year. So cute! 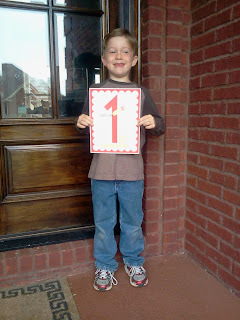 I have to be honest, though, this post comes late because I didn't get FIRST-day-of-school pictures. Not even SECOND or THIRD-day-of-school pictures! These pictures were taken today. Saturday. A full three WEEKS after school started. Oh well. They were taken and that's what matters! I'm only sorry I didn't start when Silas was 3! Well, what about you? 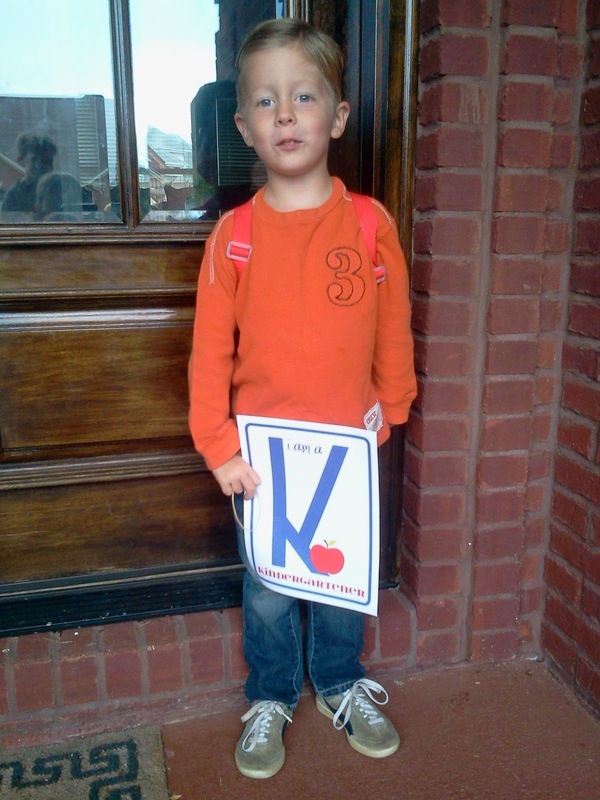 What are your back to school traditions? What are you planning on starting for the future? My hubby has been working really hard lately. There's something major about to happen at work, which is neither here nor there, except that normally, since the promotion, he doesn't do a whole lot of "hands on" getting dirty stuff, but this weekend he was in the trenches. He got DIRTY! When he came home Saturday night he didn't even come in and say hi. He went straight to the Laundry room, stripped his clothes off, hung them over the sink, and took a shower. I didn't even go in that room all day Sunday. On Monday I went in and, I kid you not, I almost fell over from the smell in there! It was bad. Yeah, that's the grease like from train wheels ... and it's thick too. I was afraid to put another load of laundry in, but what to do? I had some affresh tablets so I ran that cycle. It didn't even touch it. So I had hubby look at it when he came home last night. He tried scraping it off with his fingernail. Not much happened. I thought maybe I could try my softscrub, but I was afraid of what the suds would do to the machine, you know? He said maybe the wipes he keeps in his truck that all the guys clean their hands with would work. It's some auto mechanic thing. So I said "good idea!! just leave me some in the morning." He forgot. I had to get some laundry done, there was a big pile! Then it hit me. It was an epiphany from the Lord. That's all it could be! There are still a few light gray "stains" on the bottom where the plastic is permenantly discolored, but can you believe it? After I got the oil and grease up with the paper towels I sprayed it down with distilled white vinegar and wiped that up too. Good as new! Sad isn't it? I made a resolution in January to blog every 2 weeks at the very least. Then we moved, and ... what happened?? My last post was in May! I got discouraged, actually. I started thinking about all the other blogs out there in blog land that are prettier than mine, and who simply do it better. I'm gonna be honest with you, I can't blog every 2 weeks--at least not right now. I tried. It didn't work. I started thinking about how many other blogs there are that are doing the same thing my blog is trying to do. I guess mine isn't really needed. Then I started thinking about my mission statement. Remember that? And I was wondering if blogging actually fits in with my mission statement. Initially I had categorized it under things that I enjoy and keep me refreshed, but I wasn't enjoying the panicked feeling I was having, or feeling like I should apologise when I didn't get a post up in time. I started thinking how embarrassing this blog is. It's really been nothing but trial and error from beginning to present. Stuff started and not finished ... like GAPS that we had to give up on for now ... or the running that I couldn't keep up with ... etc. And I seriously considered just deleting the whole thing. But then I had a sweet friend tell me that she missed my blog posts. She actually misses my blog! I cried.